Sometimes it’s what you don’t see that can sink your ship. Planning and executing successful meetings for your organization can be an undertaking of a Titanic proportion. For every decision you make, to shape the meeting, there will be issues that lurk beneath the surface. These hidden hazards can easily put a big hole in your budget. As the buyer of services from a venue, you have lots of leverage to negotiate the best terms for your event. You must consider everything before you make a venue selection and especially before you sign any contract with the hotel or convention center. Upon your first venue visit, you may have the chance to meet the in-house audiovisual, preferred supplier, and their technical team. If so, they will offer information about the technical services provided at the property. These technical services fall into two categories: venue exclusive services and venue optional services. When reviewing, it is important to understand which services fall into each category and if they are negotiable. Traditionally, the venue exclusive services include: power connection, rigging points and rigging labor, house patch for house systems, internet and phone connection. Venue optional services are supposed to include everything else. However, venues are looking for ways to secure added revenue by including the optional services into the venue exclusive category. These services can run the gamut from the required venue provision of truss and motors, to the venue provision of all AV gear and labor for breakout rooms. There are even hotels in Las Vegas, which require the client to payroll all of the technical labor through the in-house AV company. Since there is typically a financial arrangement between the in-house vendor and the venue, those costs can be much higher to account for commissions from the in-house vendor to the venue. These costs can add as much as an extra 30%-50% in additional costs to your existing technical budget. Recently, a client of mine was given a proposal by a venue’s in-house AV provider for exclusive rigging services. This proposal would have added $38,000 in rigging costs to their budget. Instead, I modified the technical plans to ground support all AV and avoid a 50% budget increase. Many planners find out the hard way that there are exclusive service commitments and costs hidden beneath the surface after they signed a venue contract. These hidden agreements are in the contract under innocuous language; that binds you to abide by hotel policies and procedures, which are often published in a separate document. Very often, the venue proposal will not include specific language addressing these services. Therefore, it is in your best interest, to determine which exclusive costs you have to accept and then negotiate out the rest. So before you reach the proposal or contract stage, it is important that you take steps to preserve your options and maximize your buying power. You can accomplish this, by asking pointed questions about the technical services, or consult with a technical specialist to determine the general technical needs for your event. These specialists can visit the venue with you or review the venues before your visit. This insight will give you the knowledge to make an informed decision. Do you have an in-house production department? Are they hotel employees or a contracted service provider? What services do they provide that are exclusive? What services do they provide that are optional? What are the rules and regulations that apply to outside production or AV firms? Is the venue a union property? Additionally, to address a trend that has evolved in some regions of the country: ask if the hotel restrict you (or your outside production company) in any way from providing freelance and/or union labor? 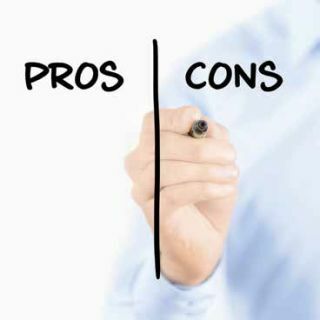 There are definite pros and cons on both sides of the in-house vs. the independent technical production support providers. The truth is, it depends upon your event requirements. Please feel free to contact us to learn more. Kim Davis is LSAV’s national account manager. Visit http://www.lsav.tv/ for more information.